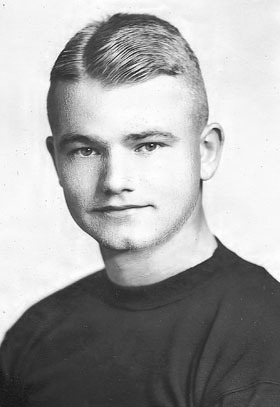 Nile Clarke Kinnick, Jr(July 9, 1918 – June 2, 1943). a student and a college football player at the universidad of Iowa.. Wallpaper and background images in the celebridades que murieron jóvenes club tagged: celebrities who died young. a student and a college football player at the universidad of Iowa. This celebridades que murieron jóvenes photo might contain jersey and camiseta.